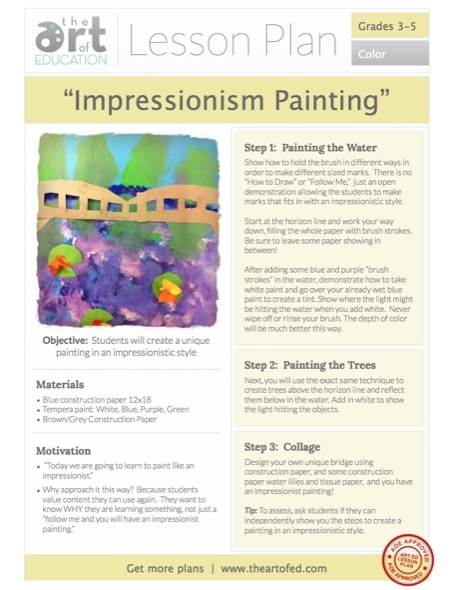 This lesson is a great way to dip your toes into teaching Impressionism. For an in-depth look, be sure to check out, the Impressionism at the Elementary Level PRO Learning Pack. 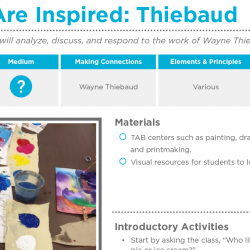 You’ll explore project ideas for beginning, intermediate, and advanced lessons that incorporate impressionist techniques and discover new ways to help your students reflect on their work and assess their learning. 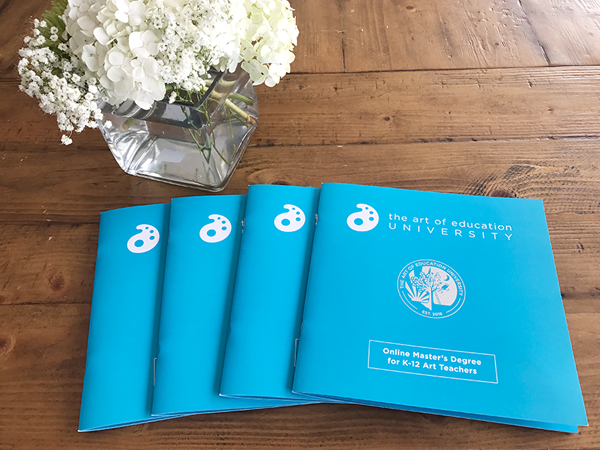 Sometimes, teachers get so focused on presenting a project or artist, the actual teaching of techniques falls by the wayside. This can be especially true at the elementary level. Instead of approaching our curriculum as a set of “projects,” we should be thinking about the skills and techniques that go into those projects. If you start to approach your teaching this way, you may be surprised. Students are often capable of much more than we give them credit for. 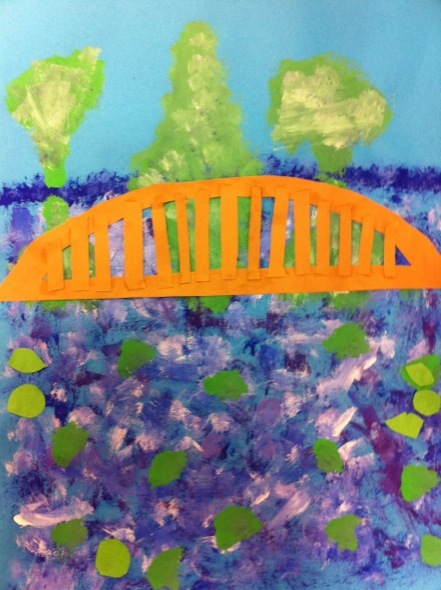 Can a 3rd grader develop their own style of brush strokes and mark making? You betcha. You just need to set them up for success. First, talk about the style of Impressionism and how it’s identified by individualized brush strokes that do not blend together. 2. Emphasize the artist’s role. Emphasize that brush strokes and mark making techniques are unique to each artist. 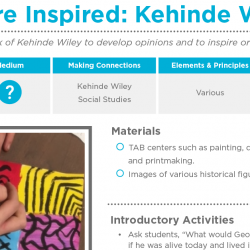 Describe how students will develop their own styles. 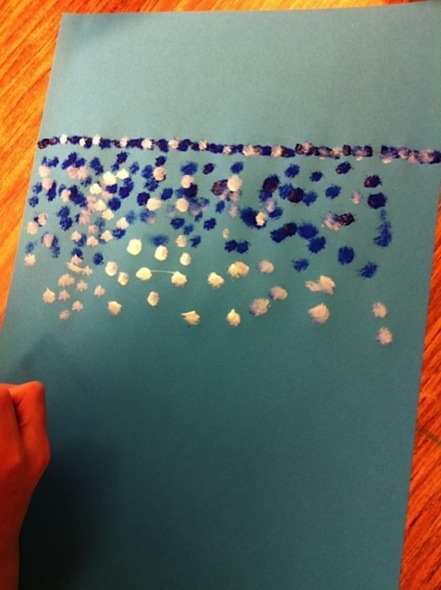 Show students how to hold the brush in different ways in order to make different marks and allow them to experiment. You may even want to experiment with your best French accent. Capturing the light is a key aspect of Impressionism. As you demonstrate, be sure to communicate this with your students. Share how Impressionists often worked outdoors to try and capture that light. To create the lesson seen here, follow the steps below. Starting with blue and purple paint, create a series of strokes. Start at the horizon line and work your way down. Be sure to leave some paper showing in between. 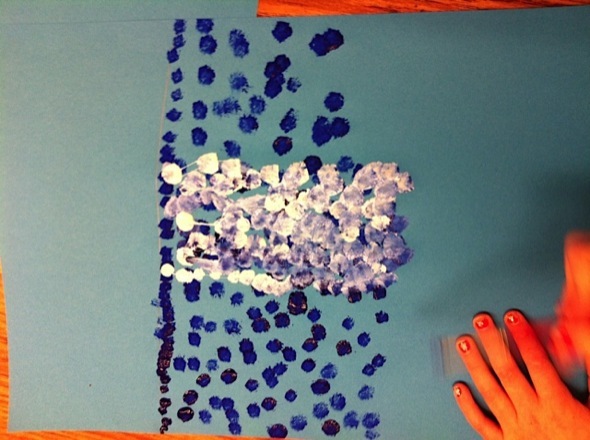 Demonstrate how to take white paint and go over the wet purple and blue paint to create tints. Show where the light might be hitting the water when you add white. Never wipe off or rinse your brush. The depth of color will be much better this way. Next, use the same technique to create trees above the horizon line and reflect them below in the water. Add in white to show the light hitting the objects. Design a bridge using construction paper. Then, add some construction paper water lilies and tissue paper. 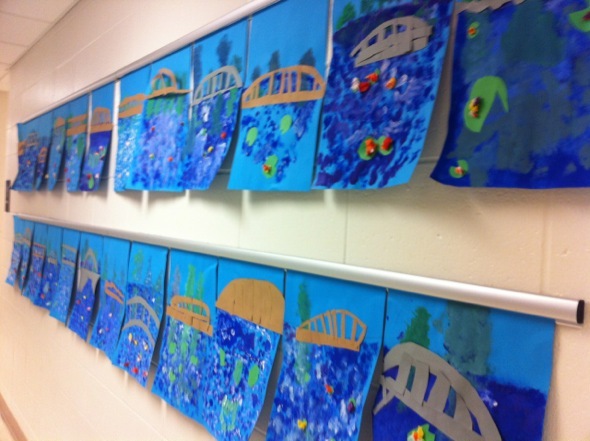 Notice how no two paintings look just alike, yet all students had success at creating an Impressionist painting. 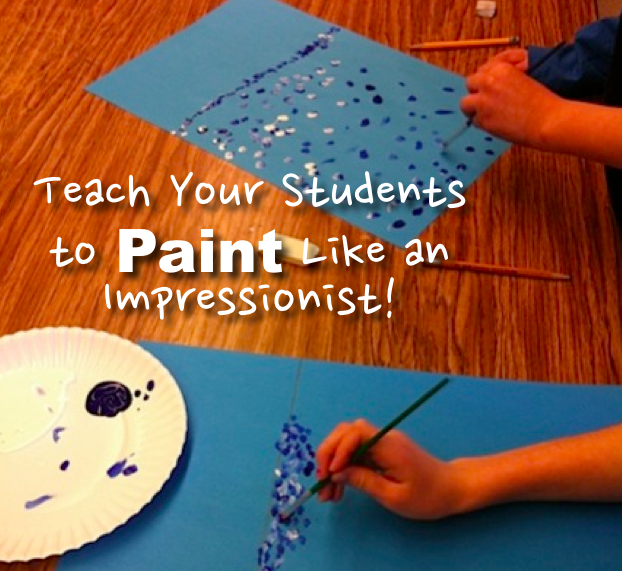 Now, students will be able to describe to their families why an Impressionist painting looks the way it does. 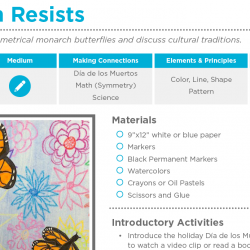 They can replicate the technique in future pieces of artwork at school or at home without a tracer, template, or demonstration. They just needed the freedom to make original marks! In what ways do you teach techniques instead of projects? Any other successful Impressionist painting ideas out there? So funny you mentioned the fake French accent! I’ve pulled that out too :). Sometimes I explain impressionism as “blob” painting. Up close, it just looks like blobs, but from far away, you can see things! This helps give the students an idea of how much paint to lay down. The more blobs the better! This makes me miss teaching elementary art! 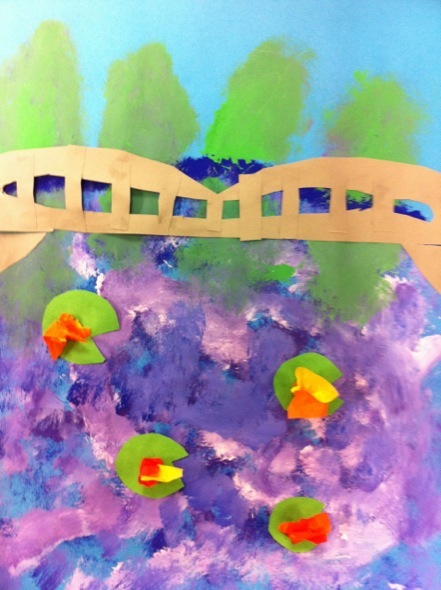 I taught a similiar lesson but didn’t add the tissue paper lily pads- what a great way to add color and texture. Great lesson Jessica! I have taught a similar lesson using Monet as the example. There is great book/video called Linnea in Monet’s garden. The video is available through netflix. My 2nd graders loved it and it seemed to aid in their understanding about when Monet lived and how passionate he was about painting. I have used it at the beginning of a lesson and at the end . It works well either way. I also love that video! I play it while the kids work, because at times it can be a little slow moving, but they get a lot out of it. I also show them photos from my trip to Paris and they really make a connection.